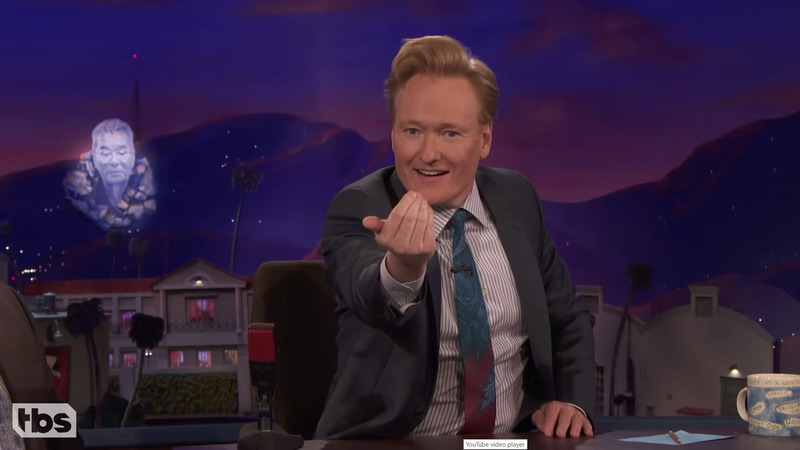 After a weekslong feud, American comedian Conan O’Brien and Japan’s “Conan Town” are set for a showdown. 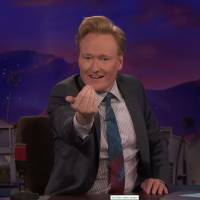 “I know a big typhoon is coming … and I’m thinking of all of you and I hope that everyone in Conan Town stays safe,” the popular TV personality said in the video message he sent from Tokyo, referring to Typhoon Jebi — the strongest storm to hit the country in 25 years. “Take care of yourselves and I wish you all the best and I will be seeing you in about two days. I’m going to come and visit, and I look forward to meeting all of you in person,” he added. Hokuei has promoted itself as Conan Town in an effort to attract more tourists. The community — the hometown of the character’s creator, Gosho Aoyama — hosts a museum featuring exhibits about Aoyama’s work. It is particularly popular among Chinese and South Korean tourists. The series is about a teenage detective known by the alias Conan Edogawa — a play on the names of writers Arthur Conan Doyle and Rampo Edogawa — and actually has nothing to do with the American comedian. But on his TV show, O’Brien demanded remuneration with claims that the name used for the Conan character copies his own. 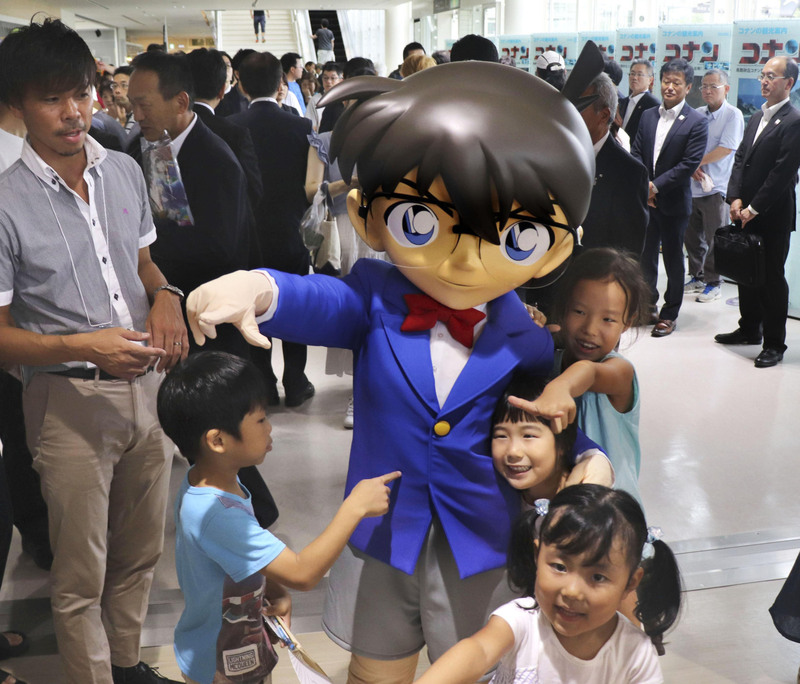 The entertainer made additional demands, including changing the hairstyle of Detective Conan’s statue in the town to look more like his, to which Matsumoto sent the program a video message in English with more demands, including asking that O’Brien bring 15,000 hamburgers to Hokuei. Hiroyuki Komae, a public relations officer with the town, said O’Brien is scheduled to make a day trip there to shoot footage for his program and that a meeting with the mayor is being arranged. 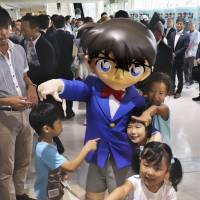 O’Brien is also planning to distribute about 1,000 hamburgers near the Detective Conan statue in the town, Komae said.